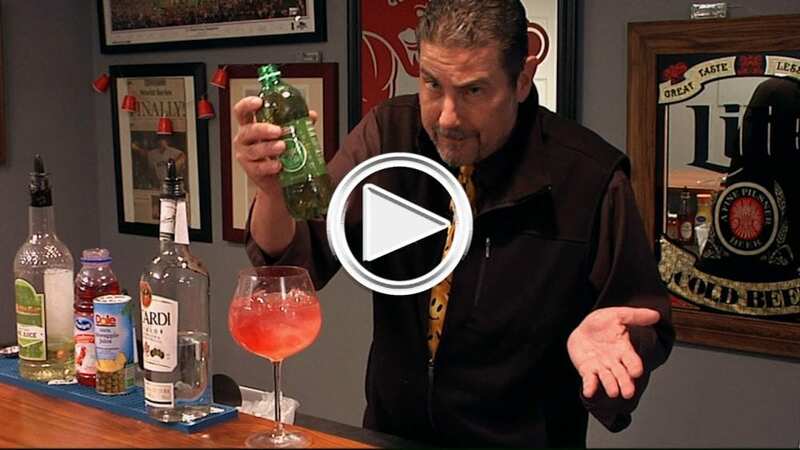 teach you how to make a variety of mixed drinks in your own home using simple recipes. Be sure to check back every week for a new “drink of the week”! vodka drinks, the second was tequila and this month we are having some fun with white rum. This week’s drink is one that most of you probably haven’t tried before. It’s called a Fruity LaPointe Cocktail. This one you can build right in a pint or Hurricane glass. In a glass half filled with ice, start with your white rum and follow that with your pineapple juice, cranberry juice, the lime juice (don’t over-do it) and finally the ginger ale. If you like bubbles make sure you add the ginger ale slowly. Gently stir the the cocktail so you don’t lose the carbonation from the ginger ale. Garnish with a slice of lime and a cherry or two… orange slice, pineapple, any kind of fruit you want really. Might as well add them all and get fruity with it, come on it’s a fruity LaPointe! Enjoy (responsibly)! We have to credit Ricky Love for that recipe. If you missed any of the last two months segments, they are archived and searchable here! Feel free to explore because variety is the spice of life!